PDF secure Mac viewer software with copy protection. 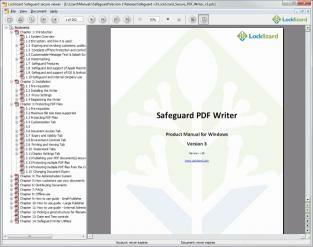 View PDC documents protected with Lizard Safeguard PDF Security. No useless passwords to enter in order to view protected PDF files. Free PDF DRM download for complete PDF Control. Note that publishers of protected documents may have implemented PDF controls to stop copying prevent printing disable print screen and other DRM protection measures to protect copyright and prevent intellectual property theft. Secure information is also protected from screenshots and screen grabbing. Copy control measures enforce document protection whilst remaining transparent to the user - there are no PDF passwords to enter to gain access to protected PDF content. PDF encryption and decryption is performed on the fly in memory ensuring complete document control. 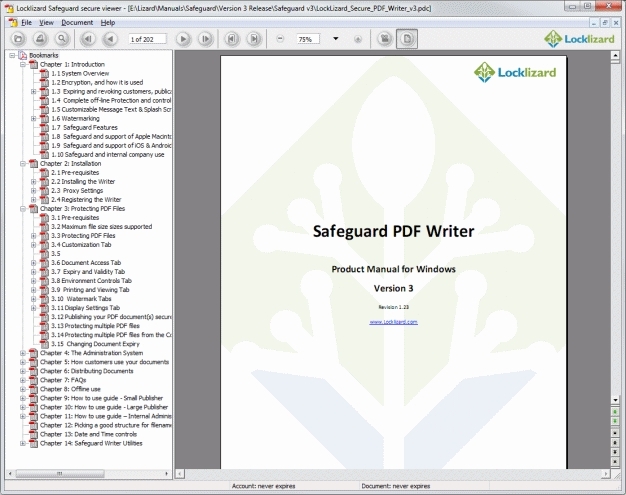 PDF Security for the Mac with copy protection and DRM controls. Support for OSX 10.11. OSX 10.6 no longer supported. Apple code signed. Bug fixes.